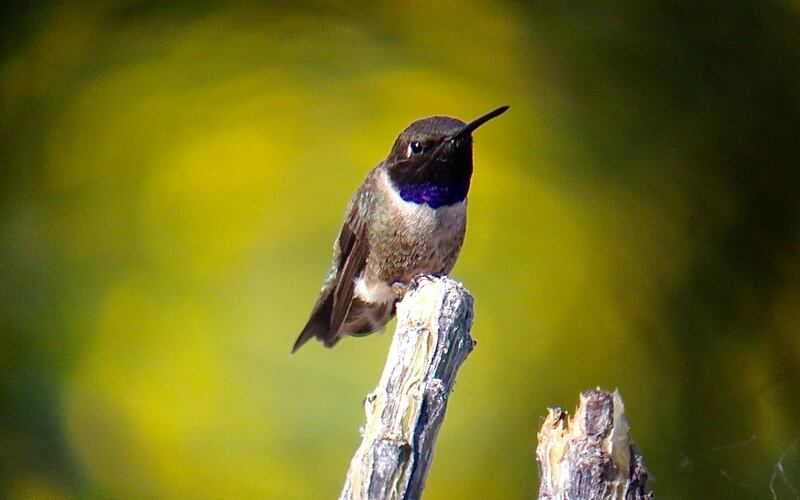 Black-chinned Hummingbird in Blythe, CA. Digiscoped with a iPhone 4s + Celestron Regal M2 80ED & Phone Skope Adapter. iPhone photo by Tim Schreckengost. A few days ago, the Cornell Lab of Ornithology launched a new website that should assist folks with the identification of 400 North American birds - Merlin - Photo ID. Using the website to identify a bird is surprisingly easy and is a very simple process. In this tutorial, I'll give a brief overview with screenshots on how to use the new Merlin - Photo ID site to identify birds. 1. Go to the Merlin - Photo ID website and click "Start Bird Photo ID." 2. Upload a Photo. I uploaded the photo at the beginning of this post. 3. Enter the location of where the photo was taken. My photo was taken in Blythe, California. 4. Enter the date the photo was taken. I didn't know the date, so I just clicked "Don't Know." 5. Go through a series of steps to pin-point features on the bird - draw a box around the bird, click on the bill tip, click on the eye, click on the tail tip, and make any necessary adjustments. 6. See if the site identified the bird correctly! In my case, it did on the first try. All-in-all I think this tool will be useful to birders of all skill levels. It's easy to navigate and seems very user-friendly, even though it is still in the beta stage. Let us know if you get a chance to test it out and if you would like to see more tutorials like this in the future.